Make this your new home sweet home! This home offers spacious living along with touches of personality & warmth throughout. 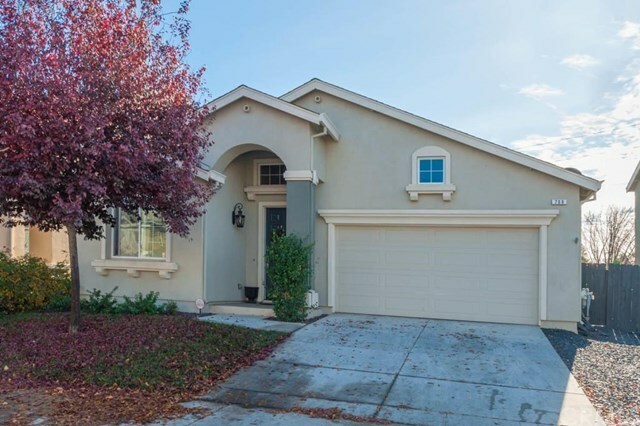 Cul de sac location offering 3 bed, 2 bath w/ approx. 1867 sq. ft. of living space and attached 2 car garage. Highlights include: laminate flooring, coffered ceilings, ceiling fans, recessed lighting, a nice open & bright kitchen w/ large island/eating bar, large dining area, beautiful granite counter tops, eye catching light fixtures, cabinetry and hardware, stainless steel appliances, large single basin sink, pantry and indoor laundry room. Extra-large master bedroom w/ picturesque windows, master bath offers, tile flooring, large soaking tub, separate shower and walk in closet. Now for the added bonus - Absolutely adorable detached unit, itâs super cute on the outside and inside too, offering a Â½ bath, small kitchenette area w/ sink & cabinets and itâs own heating/cooling unit & thereâs still plenty of yard w/ low maintenance landscape and large patio area to sit back, relax and entertain w/ family and friends! Leased solar to help with your energy bill cost, convenient location close to shopping, restaurants, freeway access and Degarmo City park. We are truly pleased to present you this amazing home! The information contained herein has been obtained through sources deemed reliable but cannot be guaranteed as to its accuracy. Sq. ft., bed/baths, & lot size taken from public records. Buyer is advised to investigate to their satisfaction.